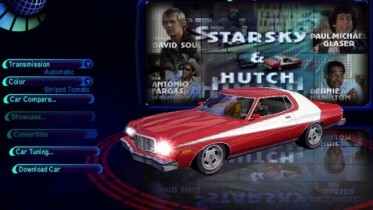 The 1974 Gran Torino was used in the very popular TV series "Starsky and Hutch". These bright red sport models with signature white body stripe were produced in very low production for the television show. The 1976 Torino was the last and final Torino before being replaced by the LTD name and product line. A total of 88 episodes of "Starsky and Hutch" ran from 1975 to 1979. Undoubtedly many reruns will live on for years to come! They used '74 '75 and '76 Torinos originally for the TV series but then Ford built 1000 Special edition "Starsky and Hutch" cars in '76 for consumers and the TV show, many of these cars are still around today. Total Polygons are 7378 including everthing. Hutch is along for the ride. 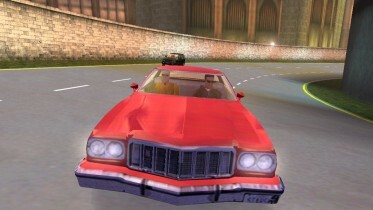 Dashboard, damage, vidwall, and decent performance for this type of car. Yes! It's here, finally a S & H Torino, how did we ever get by without one...? Yes!!! Finally, to complete my 70's TV show collection, the Gran Torino! But where's Huggy Bear? Now someone gotta make the Mutt Cutts van from Dumb and Dumber. The 84' Sheepdog. All we need now is the '77 Trans Am from Smokey and the Bandit. Now i can cruise the streets in the Zebra 3! the 77 trans am was made by Jason or Justin Trusty? I think was his name? They were a part of the BTW Racing network, which has long ago fallen. I d/led it at NFSCars.com.... I gotta say it's an AWESOME MODEL. 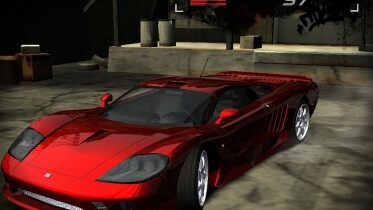 Cool car! How 'bout someone making the Corvette from Corvette Summer! If you haven't seen it, it was a very radically customized 'Vette that was candy apple red with flames, painted gold by the bad guys that stole it. That would be cool to have the two color option, and it was right hand drive also. Just a suggestion. Aussie Muscle made a 'Corvette Summer' Corvette... check the Aussie Muscle link under "Affiliates". All Jason's Firebirds and TAs were just '79s. The one here is a 79 Firebird Espirit. The 77-78 Models used the "batmobile" nose. The one from the movie was a 77 6.6 litre TA special edition. 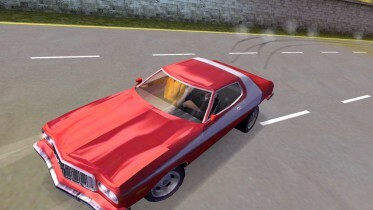 Thanks Remko, just got it, car looks pretty much like the real one, could use some 3-D updates though. Regal GSX: it was 76-77 not 77-78 models that had the distinctive grill. I owned a 76 TA a few years ago. If you search for pictures of the 78 you'll see the difference right away. Oooops! I screwed up, I guess I had a 77 not a 76. 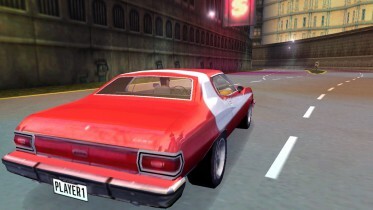 You were right Regal GSX, Sorry! Currently I'm rebuilding a '70 Torino with a 351-W. I should actually say "CUSTOMIZING". It's got a huge blower and lots, and I mean lots, of Edelbrock performance parts. Gotta love having family working at Edelbrock. 70 huh you have any pics of it? FAR, TRIPPY, AND RIGHT ON!